A Few Things I LOVED & HATED about the Great Gatsby Movie! 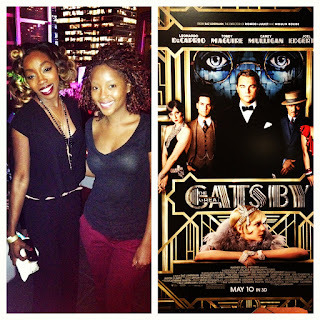 Last night, a really good friend of mine invited me to watch an advanced screening of the Gatsby in New York City. Hosted by popular blogger Necole Bitchie, the movie house was packed full of contest winners, media personalities and a few reality starlets. 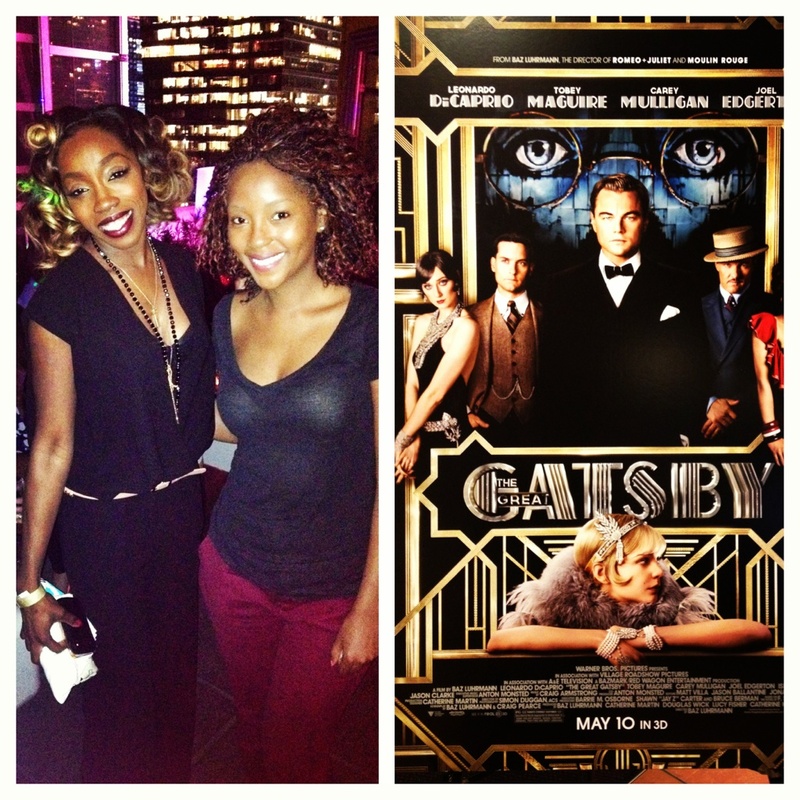 I even met singer Estelle at the after party, she is such a sweetheart! Now friends let me level with you, I am more of a ratchet reality TV watcher than say a movie buff..but I gladly accepted the invitation to watch the movie cause a) it was free b) got to see my beautiful friend c) My nosiness will always get's the best of me. I have not read the book so walking into the theater I really had no fame of reference. I quite prefer it that way because I went into the screening with an open mind. Well let me tell you, I was BLOWN away. The charismatic costumes, scintillating cinematography, the brilliant acting and even the sometimes sketchy soundtrack (rap songs in a period piece are a little sketch)- I loved the whole production. Two enthusiastic thumbs up!! Human being can be so cruel to one another. The movie is full of infidelity, lies, scandal, drama and of course death. It forces you to think about how we behave when we are in love and how the choices we make affect others for better or for worse. I remember getting so upset at one of the characters in the movie and wanting to slap some sense into them. But then I reminded myself that was just a movie, but the acting is that good. Feels so real! I have never watched a 3-D movie before. It was quite an experience friends. I hated how uncomfortable the glasses were, they didn't sit on my face the right way. However I LOVED how pristine the picture quality was once I put on my blue spectacles. The opening scene literally makes you feel like you had been uprooted from your seat and thrust into NYC circa 1920. It's surreal! The hotness that is Leonardo DiCaprio. That is all I need to say about that! The movie is a wee bit long. Clocking in at about 2 hour and 23 minutes, I was starting to get a bit antsy sitting down for that long of a time. Overall I give the movie a solid 9 out of 10. I would love to hear your opinion of it. Do you plan on checking it out when it hits theaters on May 10?